Anyone who has followed my crime-fiction reporting for a while knows what an enthusiastic fan I am of both detective-turned-author Dashiell Hammett and book cover artist Harry Bennett (1919-2012). 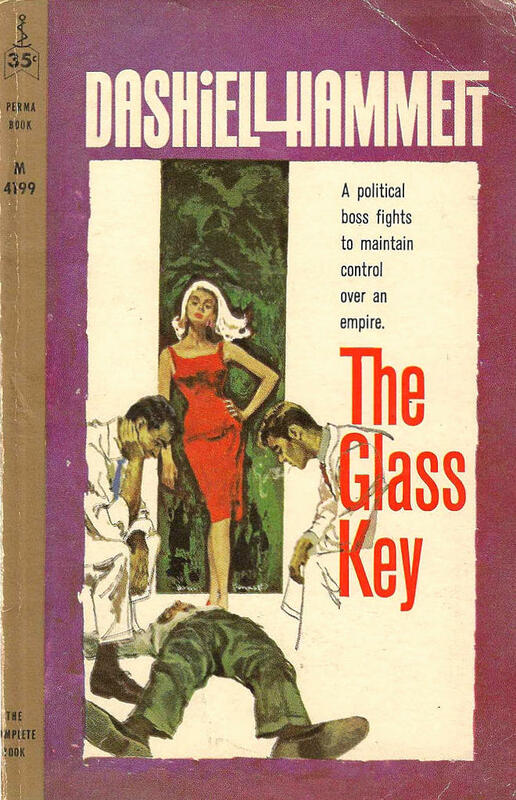 So I was thrilled to discover that those two men had once worked together. Well, sort of. 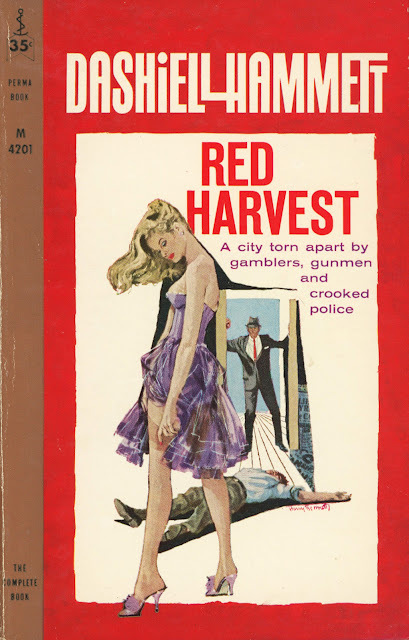 In 1961--the same year the creator of private eyes Sam Spade and the Continental Op went to his grave at age 66--Permabooks released new paperback editions of all five of Hammett’s novels, from Red Harvest (1929) to The Thin Man (1934), with Bennett-painted fronts. This represented a beautiful combination of talents, one that I thought worth sharing here. These are the editions that I bought and read as a youth. I loved the look of them then and still do. 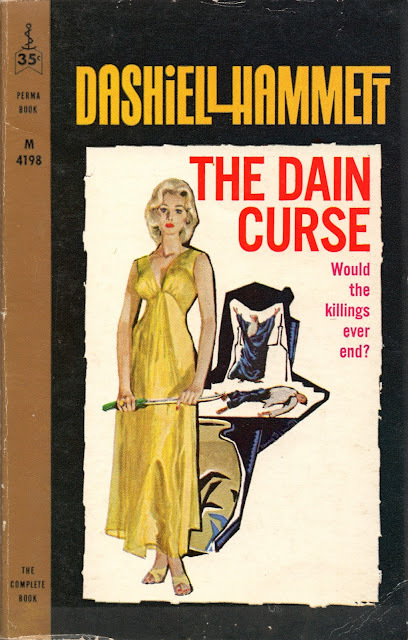 It means, by the way, that I was a Hammett fan starting at age 13. 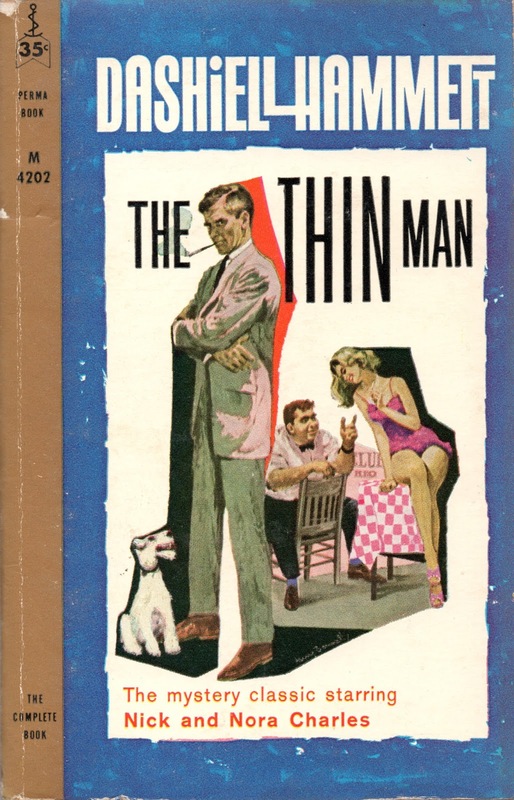 I just got a (very worn) copy of this edition of The Thin Man at a book sale and was wondering who the artist was. I will have to look for copies of the others. 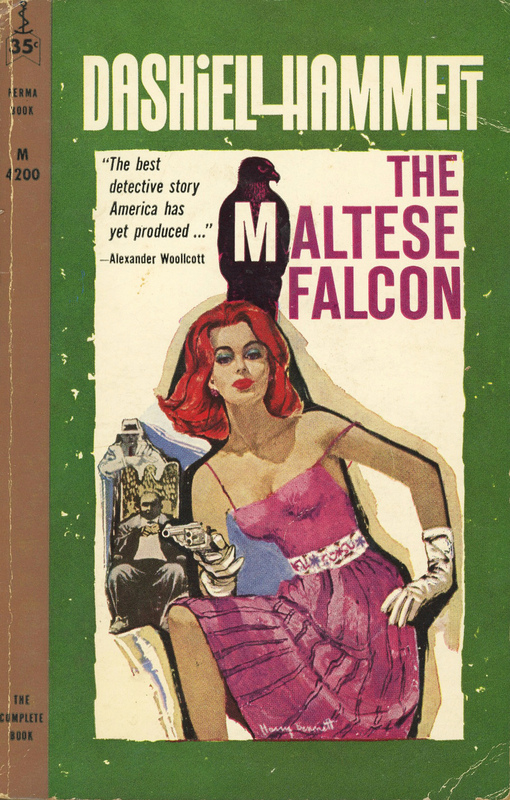 Wonderful artwork for genre classics. Thanks for finding these editions. And, as we've both learned from the artist's son on FB, the artist's daughter apparently was his model.